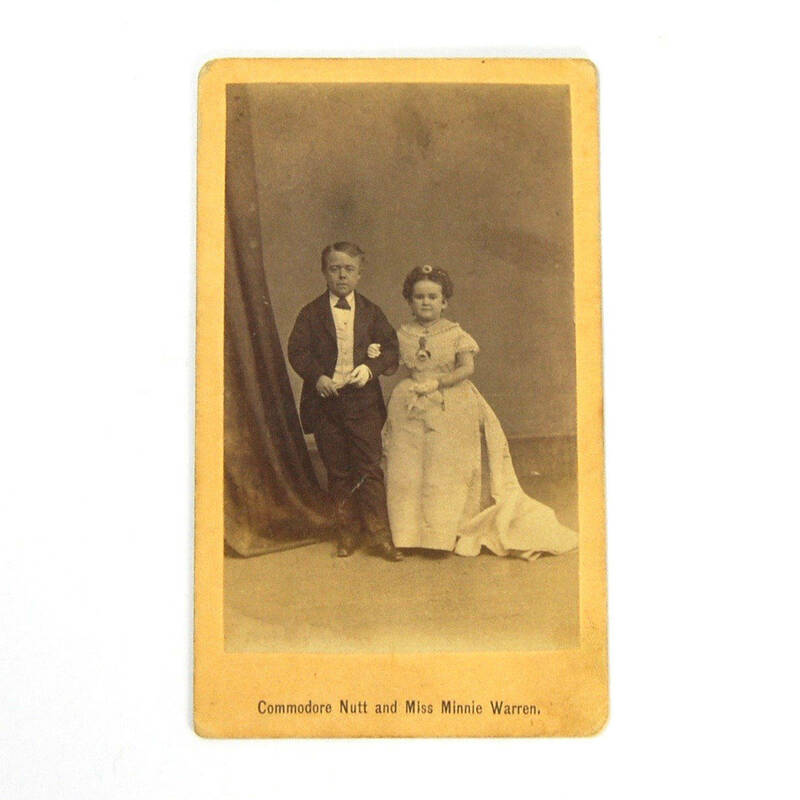 For your consideration is this CDV photograph of circus sideshow star George Washington Morrison Nutt, who went by the stage name of Commodore Nutt, and Miss Minnie Warren, sister of Tom Thumb's wife, Lavinia. This is an original photograph, circa 1870s, that would have been sold at the shows as souvenirs for tourists. This It is in Very Fine condition. It measures 4 by 2.5 inches. It is not signed. 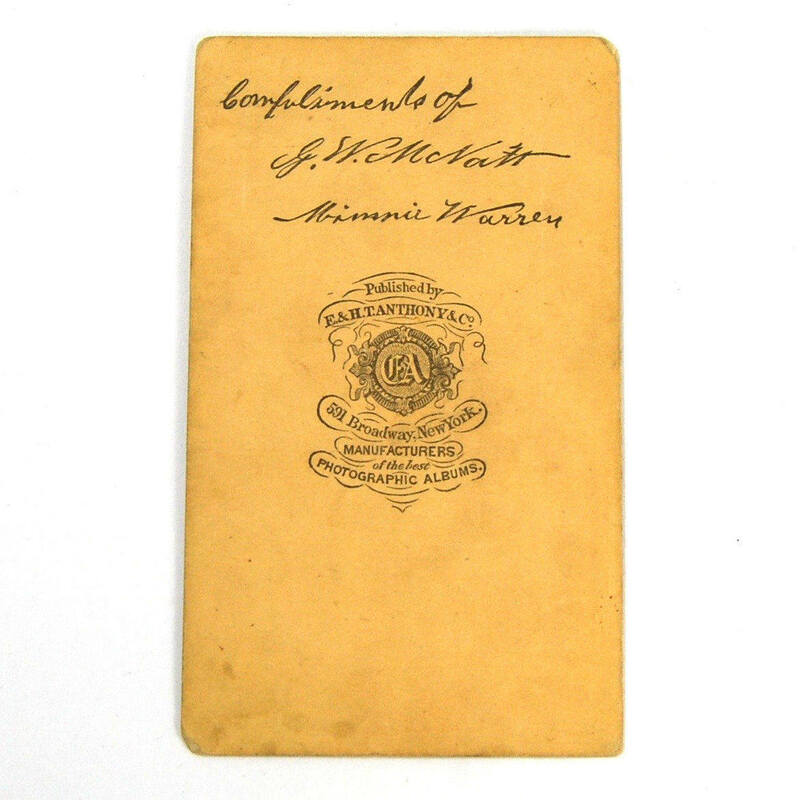 The signatures on the back are a stamp.